E-Eating. I was a latchkey kid. What that means is that my industrious parental figures, were still toiling diligently in their offices, (re: whatever people did in offices pre-internet to screw around rather than work), I was trudging from school to an empty home. I had siblings, but they were all older and were out doing older sibling things. So, as I sat at home with my suicidal dog (another story) I had to figure out how to feed myself, resulting in a oral-deluge of absolute garbage. 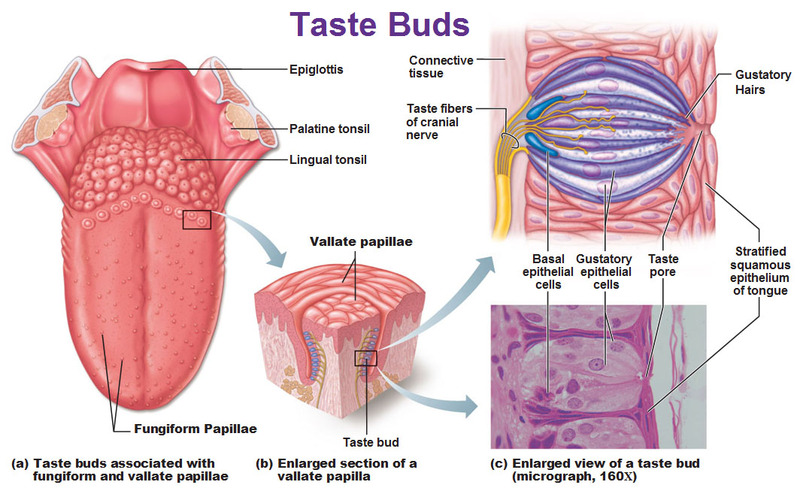 Good luck french-kissing without thinking about this anatomical nightmare. To this day, I have no idea what tastes pair well with others because I decimated my taste buds eating such delicacies as: a flour tortilla with cheese and mustard and dry roasted peanuts, or mac-n-cheese with mustard (sensing a theme? ), any pizza-based frozen thing that I could microwave and dip in mustard, and, my favorite, a bag of tortilla strips (chips/crisps) paired with a plate of dipping stations (a plate of segregated sauces, mostly celebrating the diversity of mustard flavors including mixing mustard with ketchup, which is a combo I stand by). Between genetically manipulating my taste buds through a decade of torture and the wholesale slaughter of those same taste buds through drinking/eating too hot things and occasional inhalation of combustibles, I have no idea what flavors circulate in synchronistic orbit with other flavors. 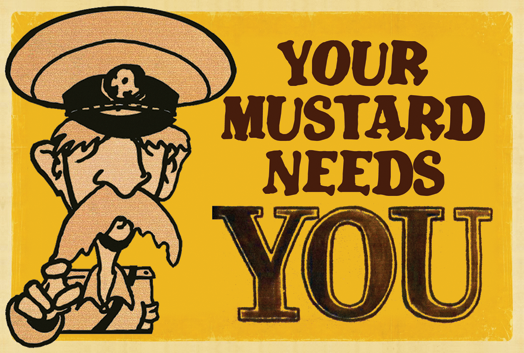 Oh, and mustard industry–Big Mustard–I am available to market my many innovative uses of your product and its variables. F-F-Word and the lack thereof. I celebrate and love the f-word. I use it all the time. It’s my favorite exclamation point. But I don’t curse here. Not out of any social obligation but because by artificially placing that simple limitation on myself, it causes me to creatively (arguably) write around that limitation, inspiring creativity. But please, I love cussing, provided, much like all language, people know how to artfully utilize the words at their disposal. G-Ggggggg-GHOST! The supernatural, cryptids, aliens, ancient aliens (not an endorsement of the History Channel show) have always been a source of fascination. I believe in exactly zero of these things, but I LOVE reading/watching/listening to various things speculating about these things. 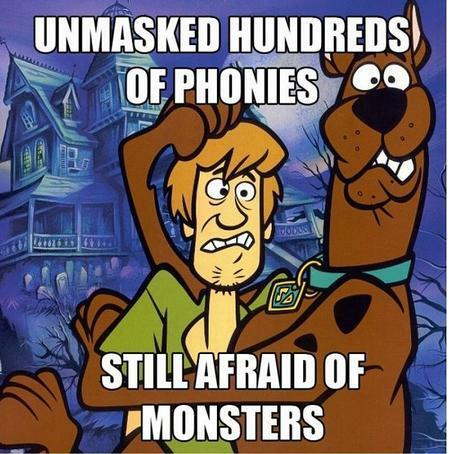 Scooby and the Mystery Team taught me that most of these things are old carnival workers tying to run a land scheme. But also, the logic of any of these things doesn’t stand up. Regardless, I love them and don’t know why. The fantastical possibly bleeding into reality is just enjoyable. To determine that person, as you wait in line, there are a couple of unpaid interns handing out name tags and gigantic felt markers you use to write your name. My name is six letters long and I had to write slowly to steady my hand (I was in college and thus, hungover), exposing me to that marker for a good long while. It smelled good, so I took an extra deep sniff of the marker. Guess what? 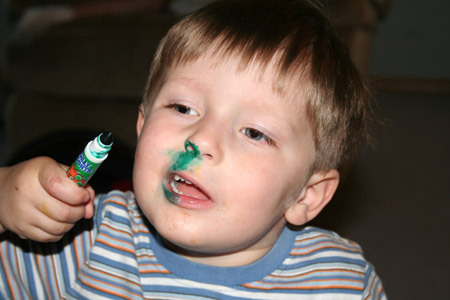 Inhaling marker fumes is a time-tested method for poor people to get super high! I did not know that. So, by the time I got to the interviewers (there are two interviewers asking questions as you go through the line), I was no longer the super-enthusiastic PiR enthusiast that put together this trip, I was instead, the high, hungover, probably newly brain damaged marker addict. Needless to say, my friend with the hundred-dollar smile got to contestants row and bid a crazy amount on a set of speakers and got a blender as a consolation prize. I’m still bitter. I-I. That’s it, just I. What? It’s a series of self-deprecation posts? Is lazily just writing “I” not self-loathing enough? I’m too timid to expound on, “I” so, yeah, just writing “I” is sad. I hope you’re having even a quarter as much fun with this as I am. These are causing me to really self-assess and I’m, so far, avoiding the perilous pockets of depression-quicksand. The sheer variety of mustards available today is staggering. It probably is really impressive for you, who I imagine was squirting that plain old yellow mustard on everything as a kid back in the Forties (just guessing on age based on style, cultural references, and hipness). I had a girlfriend once who had taught art therapy in prison. Every week all her markers would mysteriously disappear. Finally, one of the guards told her the prisoners were stealing them to get high on later. So that explains your strange behaviour. I often wondered what made you this way. It was being a latchkey kid all along, and I thought it was just the drugs. Will you be having a story on your suicidal dog later for the letter “S” in you A-Z Challenge? I’d like to know, since I’m very curious why the poor thing became that way, and if he/she ever succeeded. Sure, you didn’t get to be a contestant on Price is Right, but you also didn’t get to be a ‘highlight reel’ clip of the guy high on markers that bid $1,000 for a toaster.